OBAMA’S ADMINISTRATION COMPLAINING ABOUT PROTOCOL!!! Protocol: The official procedure or system of rules governing affairs of state or diplomatic occasions. John Boehner has invited Prime Minister Netanyahu to speak before a joint Congress. Obama and his administration are screaming Netanyahu and Boehner are breaking protocol. Obama rules are the often quoted: “Do as I say, not as I do!”…..that is how he (choke) governs. You have a president that has no respect for the Constitution (the ultimate doctrine of protocol; yeah I know someone would argue that). It is ironic, laughable that Obama expects everyone else to follow the rules. But is it really about that? Obama, could care less about protocol. Obama does not like Netanyahu, that is obvious. It may be he isn’t so concerned about what Congress will hear from the Prime Minister as it is the American public. Obama does not want Netanyahu to outshine him on his own turf. That is how tyrants think. Tyrants, dictators seldom allow foreign leaders to speak to the public within their boundaries. Also, which probably hurts Bobo as well, Boehner has outsmarted him. If Obama fears losing credibility to Netanyahu he shouldn’t; he has none. This won’t happen, but can you just picture, Netanyahu speaking to Congress with Obama sitting in the back roll or in the balcony? Pssst, we know he isn’t. Let me start by saying I am not a Democrat. I have leaned mostly on the Republican side most of my voting life. However, I quite frankly have become totally disgusted with both parties for sometime. I am not sure either party knows what they stand for, it has become a couple of clubs and everyone just follows the leader, which is both sad and dangerous. I no longer back parties…. I search for potential leaders with integrity, common sense, sincerity and patriotism; and its good that they have a spiritual belief. I watched a good portion of the video from C-SPAN on the hearing of the House Committee on Benghazi from Tuesday January 27th 2015. I spent most of the viewing shaking my head, not so much in disbelief, but in frustration. It was clear the most competent individual on the committee is the Chairman Rep. Trey Gowdy. Trey Gowdy, is a rare jewel in today’s breed of elected government officials, especially on the federal level. I am not writing about the value of Representative Gowdy to our nation in this blog, that would be a piece of its own. I did not watch the hearing to its adjournment, after about forty-five minutes I had seen enough. Three things really stood out: 1) This was as profound an example of why nothing gets done in Washington as I have ever witnessed. 2) The Deputy Secretary of State who acts as liaison for legislative affairs is Joel Rubin. Really, this guy is the best we can do? 3) The Democrats are as determined to protect Obama and Hillary Clinton as the Republican committee members, especially Chairman Gowdy are in finding the truth of Benghazi. 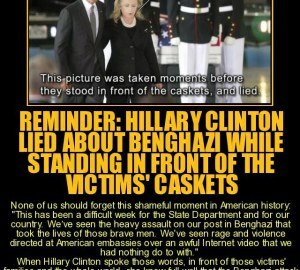 Another words America, the Benghazi cover-up continues. I mentioned in my opening paragraph my displeasure with both parties. I must say, the Republicans seem more interested in fulfilling what they were assigned to do, find the truth on the Benghazi attack(s) and the action or lack of by our Executive Branch and State Department. The Dems spend most of their floor time criticizing the Republicans. The Republicans spent their floor time actually asking questions of the witness before them; on this day Mr. Joel Rubin from the State Department. Most of the questions for Mr. Rubin were “Do we have all the documents on Benghazi? If we do not have all, when will we receive them all?” I would interject here that Gowdy wants them now, all of them, not 50% not 75% but 100%. They have waited long enough. When the floor was yield to the Democrats, they apologized to the witness, for just having to be there, that he had to go through such a process. Understand, the Democrats want to just accept the word of Obama, Hillary and the State Department. The club sticks together, no matter. 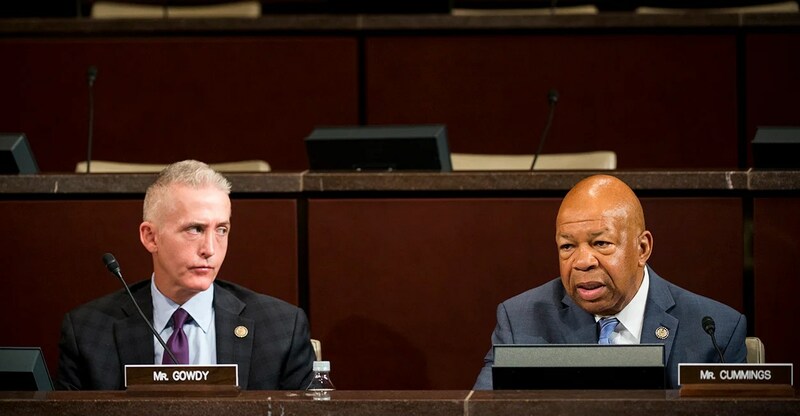 What is ridiculous, the Democrats cried foul, if they did not have their fair share of representatives on this committee; the purpose of which “to keep an eye on Gowdy and the Republicans”. The Dems have equal representation on the committee. They took turns when they had the floor complaining that they were not being included in the investigation or interviewing of individuals of interests etc….etc…., especially excluded by Gowdy. They spent the time ripping Gowdy. They say they want to get to the truth, but they never ask “the witness” anything. They bitched to get on the committee because they weren’t being included. They were assigned to the committee but just bitched they were still being excluded; and apologized to Rubin that he had to be there. So, why complain to get on a committee only to complain they have to even be there. If they just stayed home, maybe the committee gets to the truth. The Democrat’s purpose is to deflate the evidence, slow the process. They obviously don’t want “all the documents” to show; neither does Obama and neither does Hillary. This is why nothing gets done in Washington and this is nothing more than a cover-up of what really happened in Benghazi. If there was nothing to hide, those documents would have been there. The Democrats, as suggested by Rep. Cummings, will consider vetoing Gowdy’s subpoenas of 22 State Department witnesses. Oh yeah, the Democrats are really interested in finding the truth. The Democrats are afraid what will come out. They are scared to death of Gowdy. On Mr. Rubin, he knows how to dance….he danced around every question by Gowdy and the other Republicans. He slow danced cheek to cheek with the Democrats. He never gave a straight answer on anything. He would not say if they had all the documents, or when the 22 witnesses could be scheduled to testify. Out of 70,000 State Department employees he is concerned that taking those 22 away from their job could jeopardize national security. LOL…… They sure as hell did not have that attitude with the 4 that were murdered in Benghazi. I for one, am sick and tired of our government lying to us, covering up for their crimes and not being accountable. Its time some people start falling. I don’t care who they are………its time the Clinton’s and Obama’s, Johnson’s (as in LBJ) and Nixon’s and score of others of this world are held responsible. Jailed! Hey Fidel, most Americans don’t trust the Policy of the USA either! 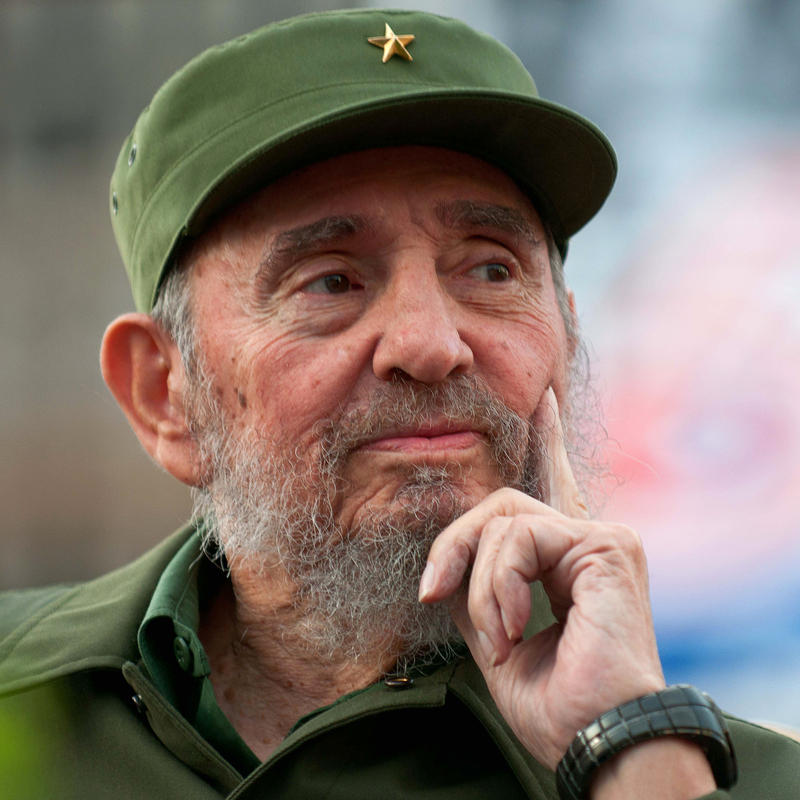 The historic leader of the Cuban Revolution Fidel Castro sent a message to the Federation of University Students on the occasion of an event commemorating the 70th anniversary of his admission to the University of Havana. Since the times of ancient Greece, during almost 3,000 years, the Greeks, without going very far, were brilliant in almost all activities: physics, mathematics, philosophy, architecture, art, science, politics, astronomy and other branches of human knowledge. Greece, however, was a land in which slaves did the most difficult work in fields and cities, while the oligarchy devoted itself to writing and philosophizing. The first utopia was written precisely for them. 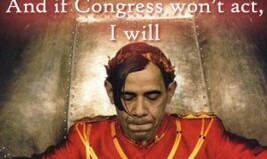 The stupidity of Obama is he really believes everything will be 100% on his terms. The Great Foreign Diplomat. Hillary Clinton who held the title of Secretary of State of the United States agreed to testify in front of Trey Gowdy’s special committee on Benghazi. Isn’t that good of her?!?! It will be interesting to see how much of her story has changed, since the “What difference does it matter?” quote; which was her true feelings. Keep in mind since that time, witness(es) have testified the State Dept. destroyed documents on Benghazi, which would have been from a direct order from the then boss (Ms Hillary). Gowdy has been waiting on additional documents before calling Hillary to testify. I would not expect to hear the truth from H. Clinton, even though I am anxious to hear what comes from her mouth, that is always entertaining and usually garbage. She has had over two years to come up with one hell-of-a story. The Chairman of the committee, Mr. Trey Gowdy received a letter from the Secretary of State of Legislative Affairs, stating that they were now ready to have employees/members of the State Department (witnesses) testify. As Julia Frifield stated “we’re ready to talk”. Wow! They are ready after over 2 years. Those that have only the truth to share, speak now…..those that lie need time to prepare! This smells like the continuation of a cover-up.